This is one fantastic cake and it was so scrumptiously good that every mouthful was deliciously satisfying. The sponge cake was light and moist, the durian filling was creamy rich and sweet and of course with the sweet aroma of the King of fruits. 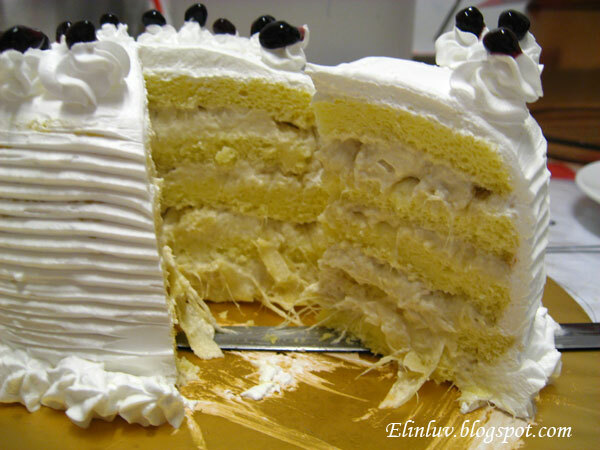 This cake must be eaten chilled……one word to describe this cake…HEAVENLY ! for the inspiration he gave when he was with us. Sift the flour together with the baking powder twice to airate the flour. Separate the egg yolk from the white . In the bowl with the egg white, add the cream of tartar and lemon juice and beat until thicken. Add in ¼ cup of sugar and beat further until the mixture shines. In another bowl, beat the egg yolk with the remainder ¼ cup of sugar until the sugar dissolve. Add milk and vegetable oil into the egg yolk mixture and stir to mix well. Fold in the flour mixture into the egg yolk mixture. Gently fold in 1/3 of the egg yolk flour mixture into the egg white until blend. Repeat with the remainder of the egg yolk in 1/3 portions. Pour the mixture into 2 parchment paper lined 4” circular cake pan. Bake the cake in the preheated oven for 25 minutes or till cooked. Remove from the oven and invert cakes on a cake rack and let it cool completely before cutting them into 3 layers each. Chilled in the fridge till ready for use. 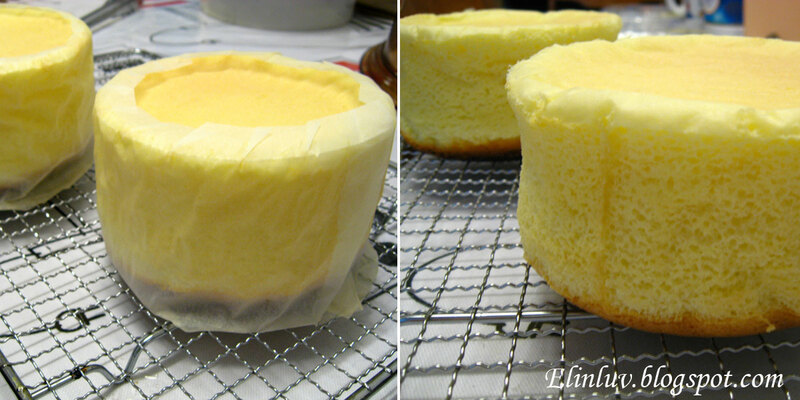 Cut the sponge cake into 3 layers each. Spray each layer with cointreau and apply a thick layer of durian cream filling, place the 2nd layer of sponge, spray the cointreau on the surface, apply the durian cream filling…repeat until finished. Spread the whipped cream on the sides and top of the cake . Decorate with cream piping as desired. Place the cake in the fridge for at least an hour before serving. 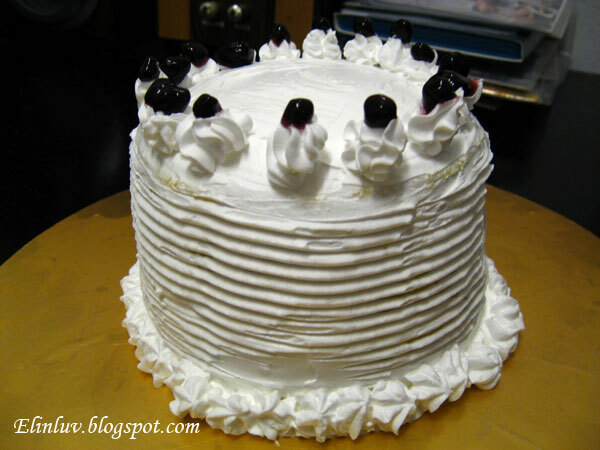 I've made this cake several times and each time it was a super hit. Thank you so much for sharing this recipe. Can i know if this recipe is for 8' cake pan?